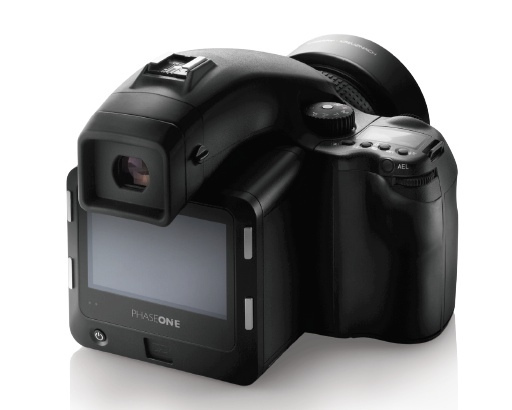 The previously rumored Phase One 80MP digital back with new design got released today. 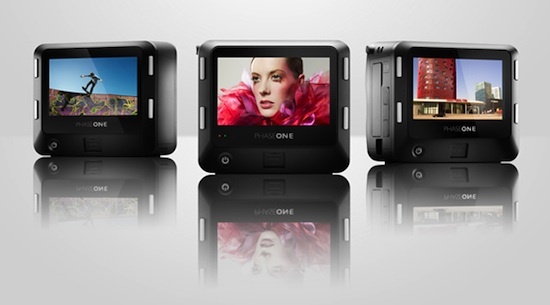 The new line is called IQ and currently features the Phase One IQ180, IQ160 and IQ140 digital camera backs with resolutions of 80MP, 60.5MP and 40MP respectively. 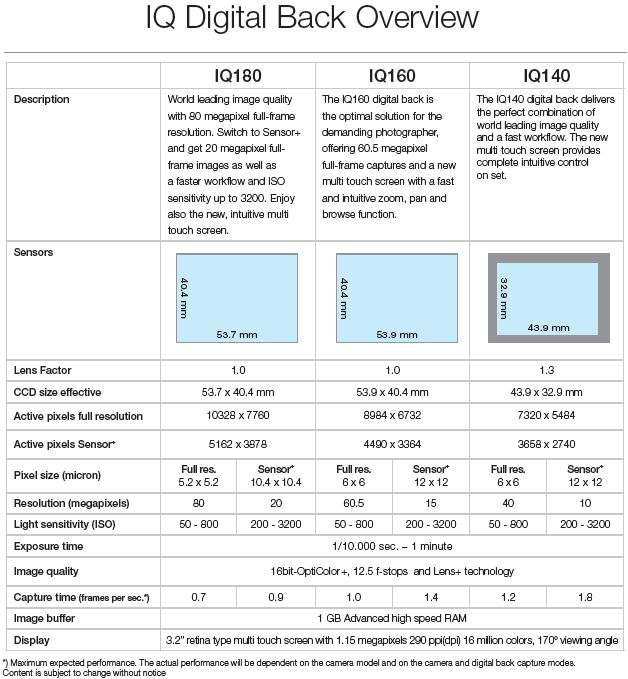 The new models are expected to be available at the end of April 2011 for the IQ180 and end of May 2010 for the IQ160 and IQ 140. The starting price point is 16.990 EUR/21.990 USD.